Kids flower cakes are an all-time favorite for girls of all ages. Although the love of flowers remains constant, styles do change through the years as new decorating tools become available. This is a traditional, frosted cake. 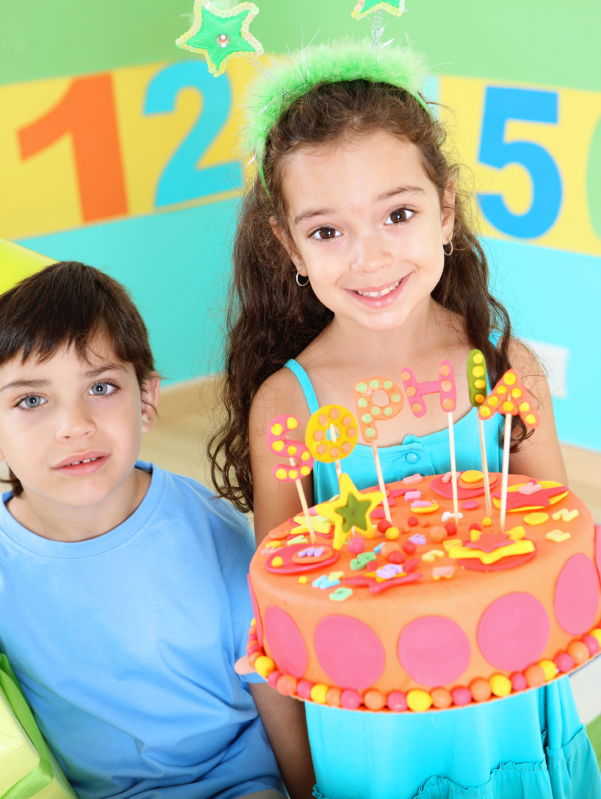 Fondant is a fun and versatile way to dress up your child's cake. Fondant may be bright and whimsical or more subdued and formal. With its smooth finish, it's easy to create a sophisticated look with fondant. This cake also features piped icing borders. To prove fondant's versatility, here is another fondant creation. This one uses flower and leaf cutouts to create a garden effect over a round cake. If you're looking for realism in your kid's flower cake, use sugar paste to create the flowers. Although marzipan has been around for hundreds of years, it is still a popular choice for today's cakes. Marzipan may be used to cover a cake as shown, or it may be used to create figures and shapes. Use sprinkles in a coordinating color to accentuate simple frosting flowers. Can't decide on a single type of flower for your kid's flower cake? Don't! Use a wide array of colors and styles for a cake with a garden feel. If your child is a bookworm, or if you're having a fairytale party, this sweet book cake will hit the spot. This cake features a variety of toppers, including flowers, ornaments, and packages. It all comes together for a busy but fun cake.